Before school starts, one of the most important things that you have to buy is a backpack. Now, as a parent, I understand how important this pack is. My son takes after me as he is extremely particular with the backpacks that he buys. He wants to make sure that he gets quality and durability to protect all the stuff that he’s carrying. As you go into high school, you’ll probably be bringing more and more stuff like heavier books, a laptop, and other necessities. With that, you’ll need a good backpack to keep all of them safe and secure. That said, I recommend that you buy only the best backpacks for high school students. If you’re a high school student, then this list is for you. 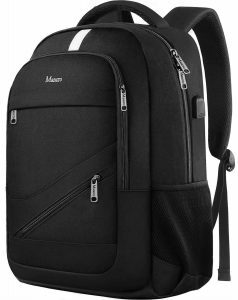 I’ve got 10 of the best backpacks for students according to my own experience. I also added some facts about backpacks and a short buying guide. The first on the list is the Under Armour Storm Hustle II. 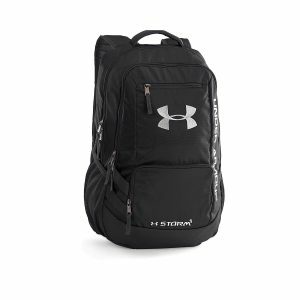 This is a pretty tough bag that can be used for traveling, hiking, and for school purposes– especially for gym. It’s made out of polyester and a bit of nylon. It’s a great bag that’s resistant to scratching and can hold a heavy load of things ranging from thick books to gym equipment. It’s a great heavy duty bag that is built for rough use, ensuring that your belonging will all be protected well. Aside from being scratch-proof, it’s also water-resistant, so you can bring it around even when it rains. No longer will you need to worry about damaging your books or laptop in the rainy weather because your bag can protect them pretty well. Though not as long as the previously mentioned backpack, the High Sierra Swerve is a wider and bulkier backpack that can also store a lot of stuff inside. Made out of tough polyethylene, this bag is extremely durable and can take a lot of weight due to the thick padding underneath the bag. Another thing that you’ll appreciate about this backpack is that it has very large compartments to store a lot of stuff inside. There are also small pockets to help secure your smaller sized belongings.The small pockets are even made specific for certain items. For instance, there are small pen pockets, small media pockets, and a key hook. This allows you to be more organized with your stuff. 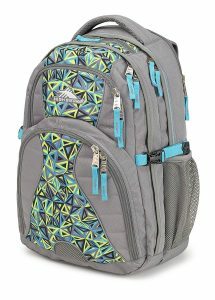 What you’ll absolutely love about this backpack is that it is a laptop compartment that is padded with a CushionZone material, completely securing your laptop in your bag so that it won’t get damaged. It can usually fit up to 17-inch screen devices. If you’re looking for a more stylish bag that’s not too bulky and doesn’t have too many compartments, then this is the one that you may want to have instead. It has a beautiful light brown color that’s very pleasing to the eyes. 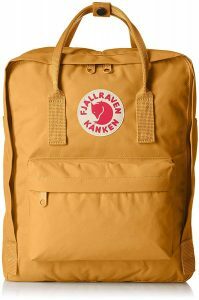 It also has a very simple and minimalist design which is quite a breath of fresh air compared to the usual bulky school bags that we see in the markets. It may not be as heavy-duty as the other big and bulky backpacks, but it does serve its purpose well. First of all, let’s talk about the overall material of the bag. It is made of a special type of material known as Vinylon F which happens to be water resistant AND dirt resistant. This means that it is a weather proof bag that will still continue to protect your things even if it rains or snows. Also, it is dirt-resistant, so you can clean it easily. All you have to do is use a wet cloth to wipe it, and the stains should come off. It’s also really spacious with 16 L of space that can store a lot of books and other things at the same time. 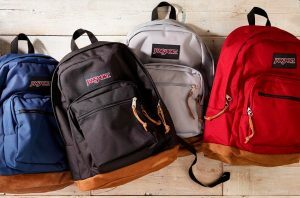 Jansport has always been a really known brand for backpacks. This model called the Superbreak really is no different. It is made out of strong Corduroy material and has a very roomy interior. Now, the great thing about this bag is that it’s really light. It’s not bulky and doesn’t have that much padding. All the bulk and padding usually adds extra weight to the bag, so it may be heavy when you carry. The reason why it’s so lightweight is simply because there’s only one main compartment and one sub-compartment. This in itself allows the bag to have more room to put more stuff. Granted you can’t really organize your stuff per section in your bag, you can still fit in a lot of things anyway. Another thing that you’ll love about this bag is that it has padded shoulder straps. Shoulder straps are often quite uncomfortable if you carry your bag for a long period of time. So in order to take away the discomfort, this bag provides you with thick padded shoulder straps so that you can carry the bag for a long period of time without too much strain. This is an awesome bag if you’re the type of person who always falls prey to pickpockets. You see, pickpockets have the ability to swiftly open zippers and take the things inside. They also can slash bags just to get the stuff out. The great thing about this bag is that it covers both of these aspects. Firstly, the zipper of the bag is located in the inner part of the bag, meaning the part that touches your back. So if ever a pickpocket tries to open the bag, he or she won’t be able to find the zipper. If he or she still persists and tries to pull on the zipper, you’ll feel it. Another cool thing about this bag is that it is made of scratch-proof material. So even if a pickpocket tries to slash the bag open, he or she still won’t be able to. Other than its anti-theft features, it also is a great laptop bag that has a special compartment to specially fit your laptop. It also comes with a small belt to keep it in place. Aside from that, you can store a lot of other stuff inside as well. This puts the Kopack in a different class on its own. 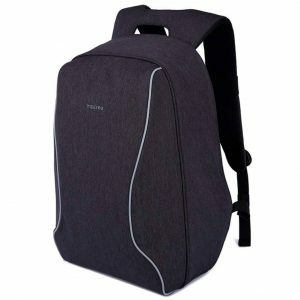 This is one of the best laptop backpacks that you’ll be able to find in the market. In fact, it’s built just for storing laptops as well as the accessories of the laptops. It comes with 6 different pockets and 5 smaller sub-pockets. These are the sections that you can find in the main compartment of the bag. Aside from the main compartment, there is also a front pocket, and 2 side pockets to store other stuff. With its size and structure, it can fit pretty much any laptop of any size. Aside from overall design, you’ll also realize that the material used is also perfect for laptops. The bag is made out of high-quality canvas material that is completely water-resistant. So even when it rains, you won’t have to worry about damaging your laptop. Another really cool feature that you’ll really appreciate from this bag is the external USB design. Basically, there is a compartment that allows you to hold a portable charger. You can attach that to a USB plug in which you can attach your device there. It’s perfect for those who need to charge their devices but who are on the go most of the time. This is one of the most useful backpacks especially when you go to college. It can store a computer, notebooks, heavy textbooks, electronic gadgets, and more. The best thing about this bag is that it’s not only for school. But it can be used for traveling as well. So the next time that you go to a different country, take this bag into consideration. With all the compartments and main pockets, it’s amazing as a hand carry bag. Aside from its multipurpose structure, it is also an RFID type of backpack. RFID means that it protects IDs and credit cards from having the information stolen. It also has a very durable shackle that’s extremely hard to open. This shackle is the one and only anti-theft feature of this bag designed for deterring thieves in the airport. If you’re going on a camping trip or a retreat, this bag is the most useful. As you’ll most likely be going on a lot of field trips or school trips, you’ll need to have a good bag ready to carry all of your stuff. This is a pretty good bag for that purpose. Of course, this doesn’t mean that you can’t use it for everyday. It can also be used for your daily school routine. The basic premise of this bag is that it can store your books, your laptop, and your notebooks. Aside from that though, you’ll notice there are some other features as well that you may like. For instance, there’s an internal media pocket which is used for storing your headphones. So if you walk to school or go on a trip, you can listen to some tunes to keep you from being bored. It’s also really sturdy because of an adjustable drawstring closure. Unlike a zipper, the drawstring closure prevents the bag from getting stuck. Also, this kind of build makes it really hard for thieves to take things inside because they would have to widen the opening of the bag to do so. This is yet another great outdoor travel bag. 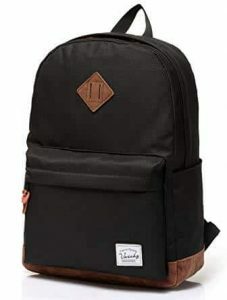 As compared to the Herschel travel bag, this one has a much larger capacity wherein the outer compartment can hold a laptop that’s bigger than 15 inches. The regular laptop compartment fits only the ones 15 inches or below. One of the most unique things about this product is the material that it is made out of. This bag is made out of an extremely durable 600D Polyester Fabric which is not only durable when carrying weight but is also long lasting. You won’t expect it to tear easily no matter where you bring it. At the same time, it’s really easy to clean. The stains and dirt would slide off easily with just a bit of rinsing and scrubbing. 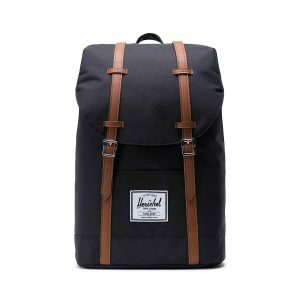 Just like the Herschel bag, this is also a drawstring type bag. This is a more secure type of structure as compared to the usual zipper-type bag. Other features include a magnetic strap closure, pin clips, and key hook. Vaschy is a brand known for its fashionista bags, and this model is no different. If you’re looking for a trendy backpack, then you don’t need to look further than this one. First off, it has over 20 different designs and colors for you to choose from. Whether you’re a man or a woman, one of these designs will definitely appeal to you. Now that we’ve talked about the design, let’s talk about the material being used. The main material used is a waterproof polyester type of material that blocks off rainwater and moisture from snow. That way, your books and laptop can be protected. Speaking of the laptop compartment, this one’s totally padded. So if you put your laptop in the laptop compartment, you’re assured that it’s safe even if it falls due to the thick pad. With that, you now have your complete list of the best backpacks to buy for school. 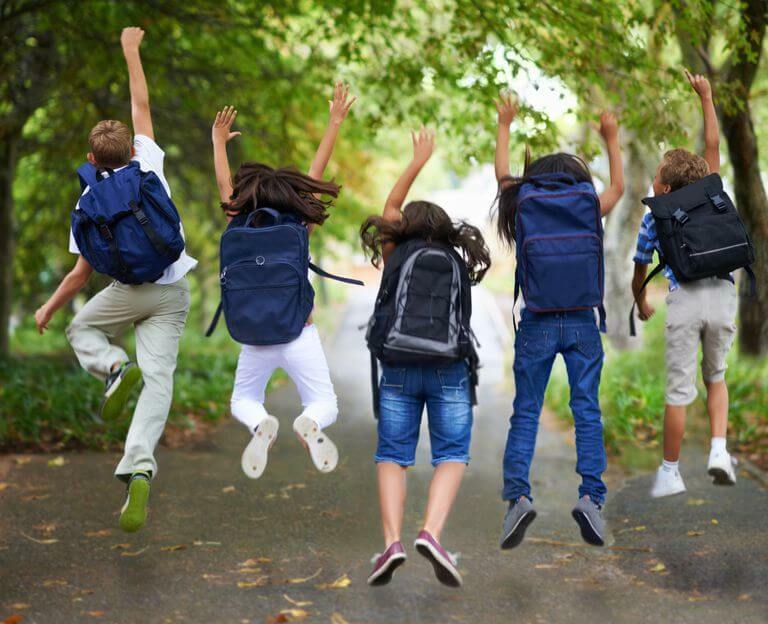 To add some extra light to what you already know, we’ll discuss the various types of school backpacks that you can choose from. 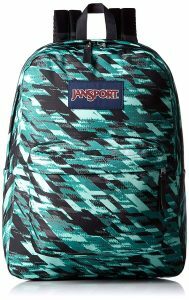 This is the regular backpack that you would usually see before school sales. These ones don’t really have outstanding features, but they’re practical nevertheless. They are usually made out of pretty strong material, allowing them to carry your thick and heavy books without much trouble. However, they are not built specifically for laptops as they don’t usually have laptop compartments. 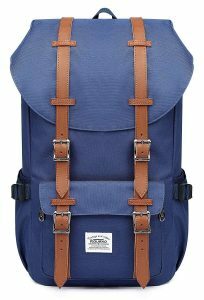 You usually buy this type of bag if you’re only carrying books, clothes, and your lunch. There are actually bags that are pretty multipurpose. 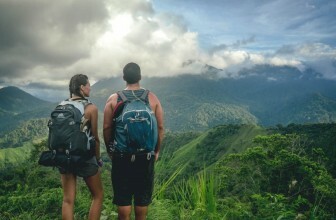 There are some backpacks that are usually used for hiking but can be used for school as well. The great thing about these bags is that they’re pretty heavy-duty with big and bulky zippers, many compartments, and made of strong material. Just like the regular backpacks, these aren’t really built for holding laptops. These bags are big and spacious, but they don’t usually have a laptop compartment. If you ride the bus or train, your laptop might not be securely placed in this type of bag and may get damaged. 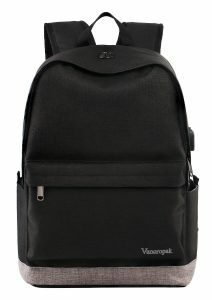 This is usually used for those who live far from their school and need to bring lots of stuff everyday. The laptop bag is specially made for keeping laptops inside. These bags usually have a separate laptop compartment with a small belt to keep the laptop in place. There are also other compartments as well that can store the batteries, the mouse, and the charger securely. Of course, this type of bag may also store other things as well such as books and lunch. There are compartments for these things separate from the laptop compartment so that your laptop won’t get damaged. This is a pretty new type of backpack that’s in a category of its own. What you’ll notice when you first see this backpack is that there are no zippers on the front of the bag. So where are the zippers located? At the back of the bag, facing your back. So if a pickpocket tries to open up your bag, you’ll definitely feel it. These bags are also made out of slash-proof material. With that, thieves won’t be able to cut your back open. 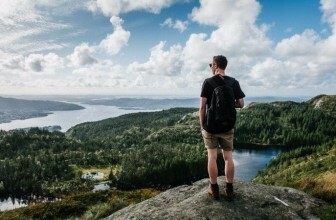 The Kopack backpack in our list is an example of a great anti-theft backpack. Now, you may want to ask me which of the 10 choices that I provided above is the best to buy? My simple answer would be: it depends. You need to choose the one based on your individual needs. For your convenience, here is a short guide to buying a good school backpack. This guide will show you certain factors that you have to take into consideration. The first thing that you have to take into consideration would be the size of the backpack. The size of the backpack has to be proportional to your own size so that you won’t carry something too heavy and lose balance. As a general rule, the backpack should not be wider than your torso. Also, you might not want to buy a bag that’s longer than your waistline. This is just to ensure that the bag is the right size for your body. Another thing that you have to take into consideration would be the comfort factor. If you don’t feel comfortable carrying your bag, then you’ll obviously have some back or shoulder problems. In order to avoid that, you may want to look for some comfort features. These features would include back pads to make sure that your back won’t be strained with long-time use. Another would be adjustable straps. 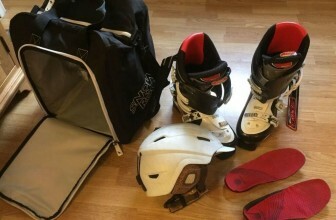 This ensures that you can modify the placement of the straps based on your own comfort. Last would be a hip belt. The whole purpose of a hip belt is to shift some of the bag’s weight to the leg area so that your bag won’t take so much of the brunt. The material of the bag would determine its durability. For instance, leather bags have very high durability because they don’t tear easily. 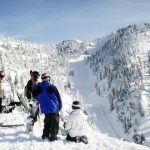 Other materials that also have high durability include corduroy or polyester. The material you choose will really depend on what kind of load you’re carrying and what your personal preferences are with regard to style. Depending on what you’re carrying, you may need to buy a bag with a lot of compartments. My son, in particular, likes hiking bags with a lot of compartments, so he can put a lot of things inside. His current bag has a water bottle compartment, umbrella compartment, separate laptop compartment, back compartment for books, and a lot of other pockets for other things like a small lunchbox and wallets. Lastly, you may want to look for other features that you’d like your bag to have. Some features that you may want to consider would be water-proof material and UV proof. Water-proof bags are really cool because they prevent water from getting in. The water would usually just stay outside the bag. This is extremely useful for the protection of laptops and books. UV proof bags, on the other hand, protect your belongings from strong heat from the sun. This is great for keeping your food safe from too much heat. Before the start of classes, you need to make sure you’re well prepared with the right equipment needed for your school stuff. The most basic thing that you need is a backpack. 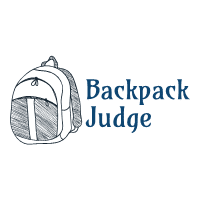 If you want to make sure that your things are all protected and well placed, then you need to look for the best backpacks for high school students. That is what my list above showcases. 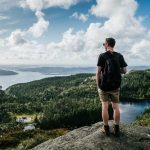 I made this list based on experience as well as feedback from my other friends who use backpacks to go traveling or to work. I also get feedback from my son who is also really particular with the bags that he uses. So if you want a comprehensive list of good school backpacks, you’ll find this list really useful.